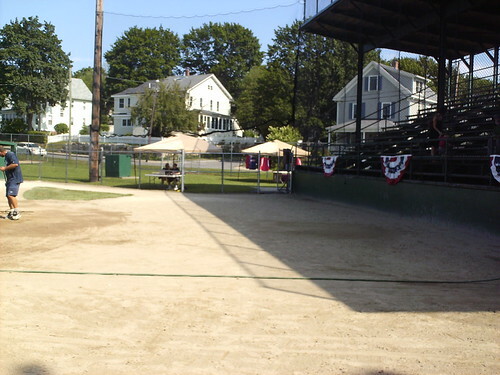 The view from behind home plate at Leary Field. 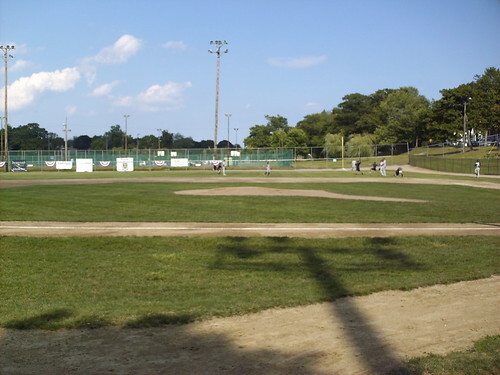 The view from the third base line. 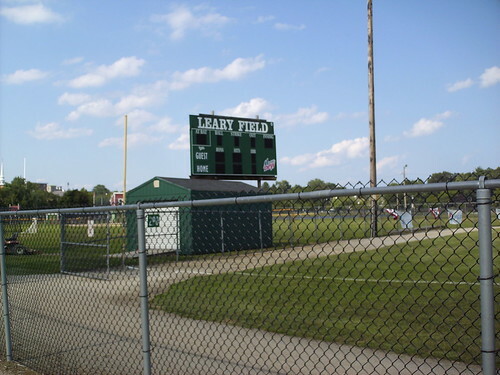 Leary Field is part of a Portsmouth city park, and tennis courts sit behind the right field wall. The view from down the first base line. 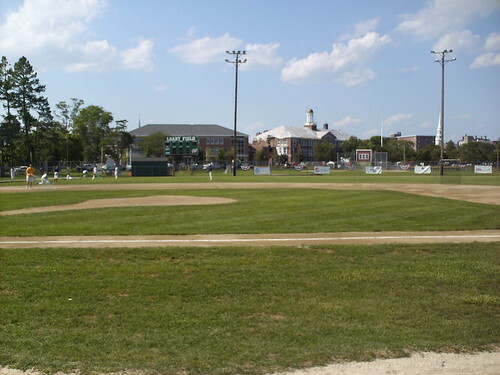 The buildings of downtown Portsmouth sit beyond left field. 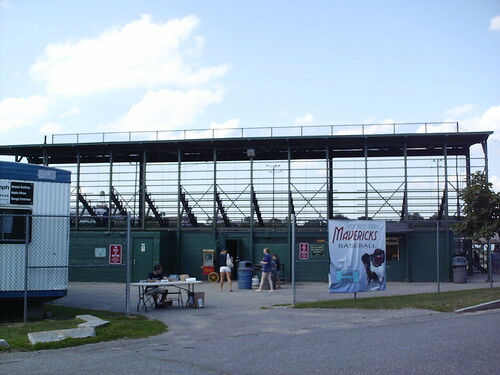 The grandstand at Leary Field sits on a small residential street. 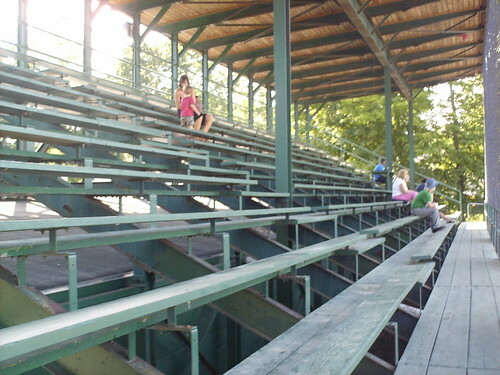 A large bleacher section sits behind the third base dugout. 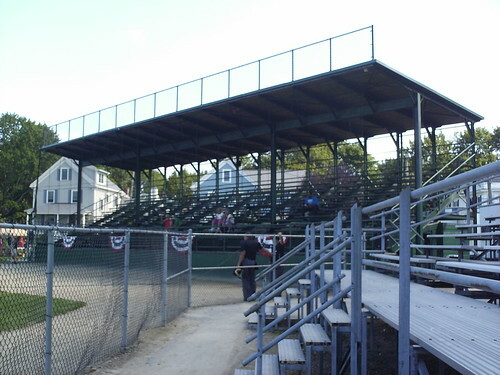 The wooden stands inside the grandstand at Leary Field, a classic small town ballpark. 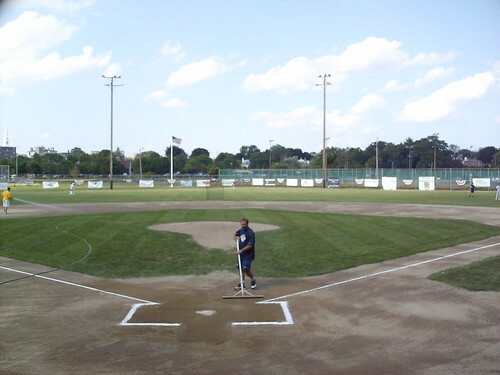 There's a large amount of dirt foul territory behind home plate. 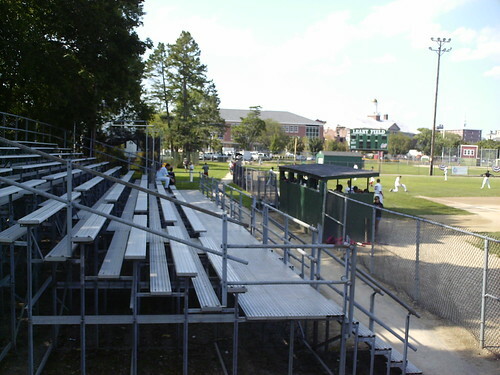 A single bleacher and picnic table sit atop the berm in right field. 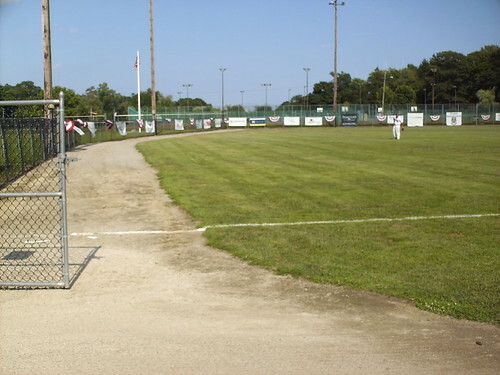 A youth baseball field sits behind the scoreboard in the left field corner. 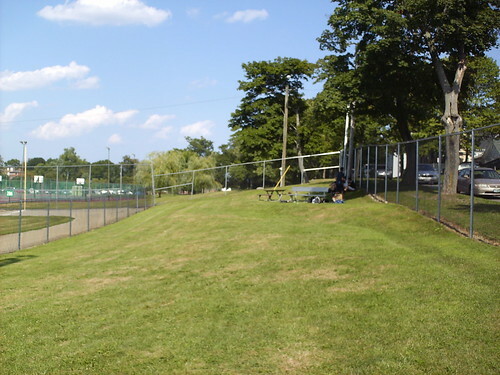 The right field fence is only 286 feet from home plate, so the fence is twice as tall in right. 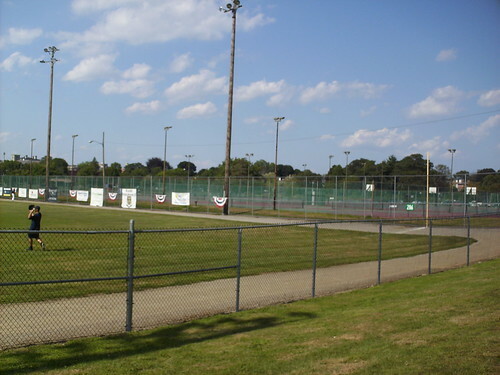 The outfield comes to a sharp corner in center where the tall right field fence meets the short left field fence. 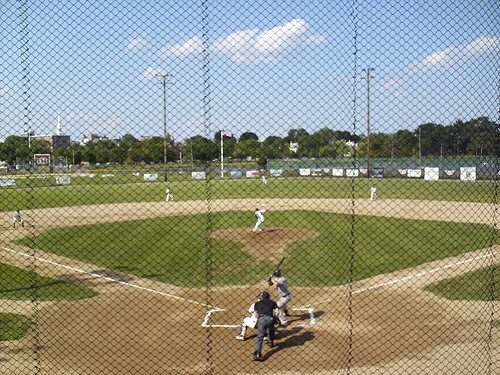 The Seacoast Mavericks on the field during a game at Leary Field.